I'm so glad you are here - alhamdulilah. I'm your 'Spiritual, Creative, Personal Peak Performance & Mindset Transformation Mentor-Coach-Consultant'. My passion in life is to help you creatively find your unique purpose in life so you can align it with our ultimate purpose of worshiping God so that in the process you become spiritually conscious and create a deeper connection and closeness to God. I help you create instant and positive mindset transformational changes in all areas of your life so you can live an awesome life full of purpose now. I want to ask you a few questions today, with your permission. * Have YOU got intentions (goals) in life but don't know how to get started? * Are YOU looking to tap into your creative right brain for ideas for a business or project? * Do YOU have aches and pains and emotional blockages which stop you from moving forward? * Are YOU lacking khusho and spirituality in your worship? * Are you tired of living a mediocre life and want to ExCel? * Are you someone who wants to master peak performance in your studies? * Are you finally ready to break through those negative psychological loops, thought patterns and limiting beliefs that are holding you back? * Do YOU want someone to believe in YOUR dream and be by YOUR side as YOU achieve it? * If YOU answered YES to any of the above then continue reading as this is for YOU! I've personally faced all the challenges above. Years and years of tears, hurt, pain and confusion. Even though I have been close to God since childhood and started practicing upon the deen at age 14 I still had these challenges. I was confused and I thought something was wrong with me - especially as I was 'religious' and I thought I was the only one who felt like this. Religious people are not supposed to feel like this, right? I knew I was an entrepreneur at a very young age and a writer - I wrote my first book age 10 called; 'The Lovely Cake' and I was always scheming business ideas and running businesses. When I was younger my uncle always called me; 'Nadia - Janat mein pukarne wali' - that is Urdu for 'Nadia - the one to call to Heaven'. I always knew that I had to do something 'BIG' - but I wasn't sure what that was. And I guess, well, life got in the way. I mean, I got the degrees and masters and courses and even went pilgrimage with my parents at age 20 - but still there was something bothering me inside. It wasn't until a week before my 30th birthday that I discovered a lump on my neck and then things spiraled downwards. My health went from bad to worse and I was planning 'The End' by the end of 2010. However, in the same year, it was in my recovery moments that I realised that I had been 'wasting my time' and God had blessed me with so, so much with awesome parents and family that I had a breakthrough moment. The way my lymph system suddenly went crazy - without any prior warning - and then suddenly got better the same year - a week before Ramadan - was enough of a 'slap in the face' to tell me to stop wasting my life! I was in my front room and literally turned 180 degrees and 'looked back at my life'. It was at this exact moment - in 2010 - I suddenly realised that everything that had happened and all the challenges that I had faced were preparing me for my bigger mission - to help people - you - through your challenges and help you connect back to God. I mean, this is all I have ever been doing since childhood - whenever friends had issues and challenges, whenever I met strangers - since childhood I was a school mentor and I realised I was motivating others to live their best life - I just didn't realise it all then. I mean I was living my 'unique purpose' all my life - I just didn't know it - I just wasn't aware of it as I allowed life to get in the way! It was then that I got really and truly focused on what I wanted to achieve in this world and the next and I stepped into 150% ExCel Mode turBo flow. I was always into self-help, personal and spiritual development - but now I got more thirsty for knowledge and learning. I started to learn from all the personal development 'gurus' - not just from the west but also those who applied Qur'an and Sunnah. This strengthened my belief even more - I knew all the answers I was looking for were in the Qur'an and Sunnah and now I learnt a new way of presenting this information to help me and help us all. I turned my life around completely and alhamdulilah now things are clearer! You know, we are blessed with so much today yet take it all for granted! Our pious predecessors had so little in terms of resources yet they achieved so much not only for our Ummah but entire humanity - yet today we have so much and do so little. We have the same 24 hours in our day. Our pious predecessors have inspired and motivated me since age 14 to aspire to be the best and do the best for humanity - and that is my dua for you also. Fast forward to today - April 2016 - and alhamdulilah with Allah's will and mercy I have completed many courses and attended training's and have applied the practical steps which has enabled me to create those positive changes in my life (see full bio here). And now I want to share this with you. I want to help YOU create those positive changes in your life which you are craving, to start living a life upon the deen or strengthen your ibaadah and to prepare for your best akhirah insha'Allah. This is a personal and spiritual development plan to get YOU back on track emotionally, physically and spiritually insha'Allah. The Powerful Personal and Spiritual Self™ - because it is individually tailored to YOUR personal and spiritual needs and has a powerful and immediate life transforming impact for YOU. But this life transforming impact only works if YOU are willing to work on YOU and take this VIP Day seriously. So this VIP Day will only work if YOU are ready to work it and do the exercises on the day. If you want to start living a life of 150% ExCel Mode then YOU are ready for THIS VIP Day! I have 22 years of theoretical and practical experience in both spiritual (worship) and personal development and from January 2015 i began my own 12 month mindset transformational challenge. I have already learned so much about myself, my life and have gained so much clarity and transformed! Click on the link below to book in a 30 minute Discovery Consultation and it is literally 30 minutes as I can only take a maximum of 4 clients each month who are ready to be coached and mentored now. We discuss you and your intentions (goals) and then schedule your VIP Day, sign the forms and say bismillah! 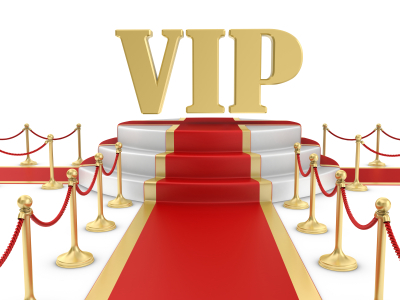 What happens in a VIP Day? So, I will meet you personally (sisters) in the UK wherever you live or via Skype (if you are abroad) and we will spend a Day together where we work on your chosen areas, do some interactive exercises and healing modalities. By working with me on your VIP Day you will get instant clarity and transformation. You'll get answers to questions you have been asking for years. You'll finally understand your true purpose and start living a life on purpose. That is my personal guarantee to you - by the will and mercy of God. If you're ready for a life transforming day then I invite you to click the button below and let's talk now! *Please Note: This 'Discovery Consultation' session is ONLY if you want to book a VIP Day. Please re-read this letter above and then decide now if you want to attend and book a VIP Day. Our time is valuable. I value your time - I pray that you value mine.